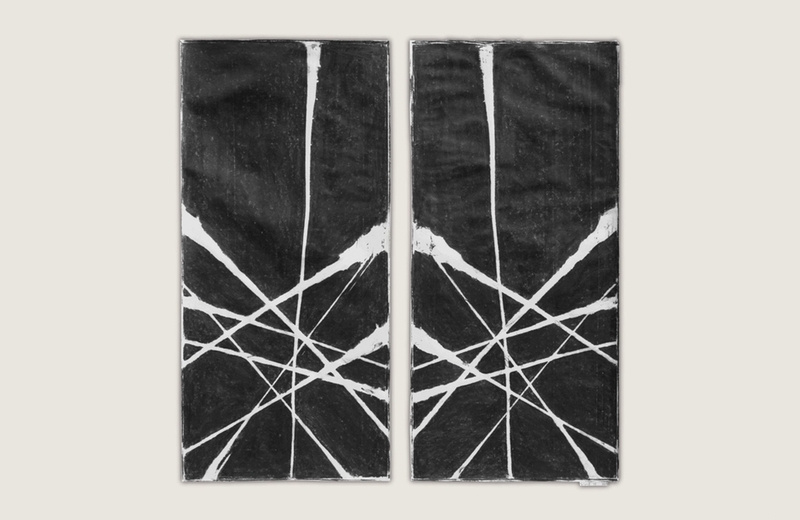 In this series, Jonah captures a photo-like negative effect from his glass burned panels. 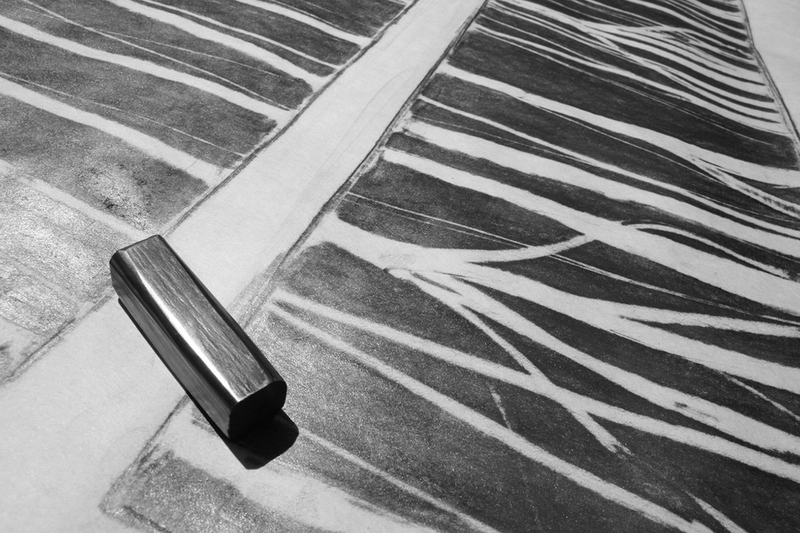 By laying mulberry paper over the wood panels, and then rubbing graphite over the paper, the resulting imprint is almost like a shadow or echo of the original piece. 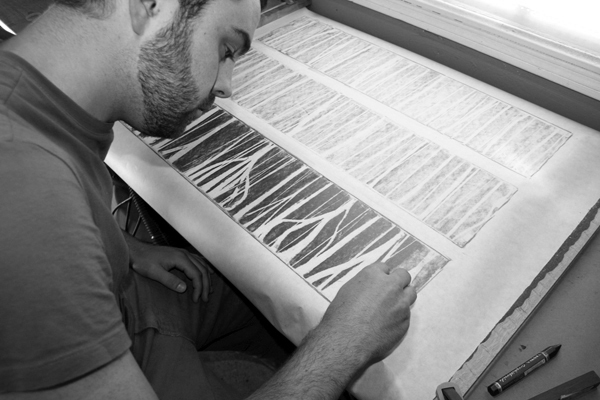 Though created from Jonah's original glass burned panels, the rubbing technique creates its own unique aesthetic, bringing focus to the overall composition. View selected images in the slideshow below. 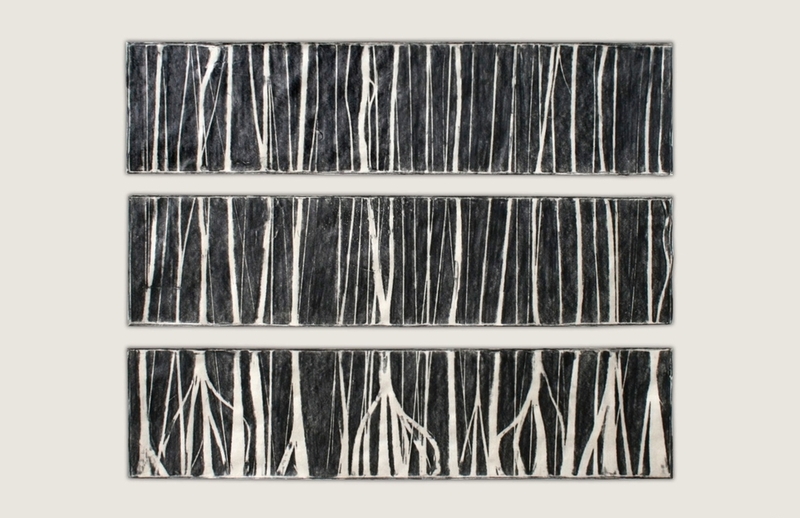 34" x 32", 2011. Graphite on mulberry paper. 37" x 34", 2011, Graphite on mulberry paper. 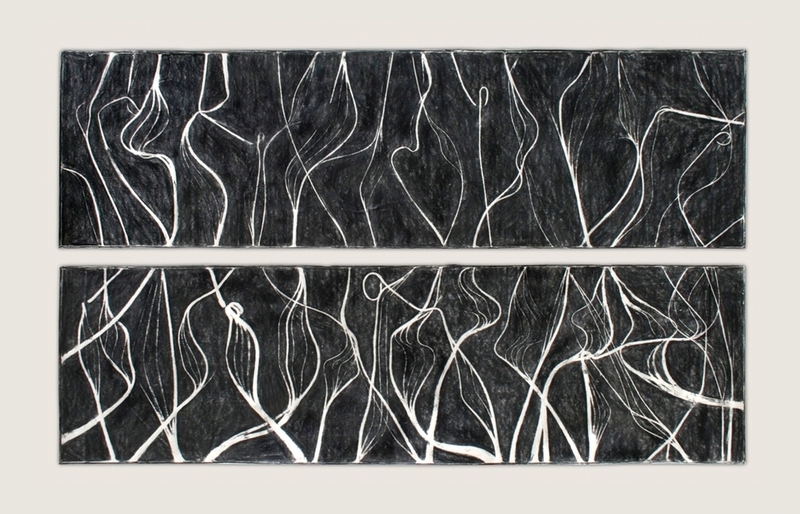 52" x 34", 2011. Graphite on mulberry paper. Jonah's process shown here for creating his frottage series.